The Supreme Court on Wednesday refused to share with the Union of India the complete report of the state coordinator for the National Register of Citizens (NRC) with regard to the modalities of the standard operating procedure in dealing with the claims of those not included in the first draft published by the state of Assam on July 30. Appearing before the bench of Justice Ranjan Gogoi and Justice Rohinton Nariman, Attorney General K. K. Venugopal advanced that it may be taken on record that the government of India desires that a copy of documents tendered to and relied on by the court be also served on it. “We are in agreement with one suggestion of Mr. Prateek Hajela (the state coordinator for NRC) that in addition to what was initially furnished by the applicant, if they have not succeeded in proving their claim on the basis of those documents, any one of the 10 documents set out in the report, of the 15 stipulated in List A, shall be permitted at the stage of addressing the claims and objections”, stated Justice Gogoi. The bench proceeded to record its order to the effect that the 10 documents set out by the state coordinator can be relied on or introduced by a claimer for inclusion in the NRC subject to the authenticity of the documents being certified by the relevant issuing authority. At the commencement of the hearing, Justice Gogoi had inquired if the AG wished to revert or the bench may conclude by declaring in the order what the 10 documents are any one of which may be relied on at stage of filing claims. “What has been said is that out of the 15 documents in List A, 10 will be deemed authentic and will be accepted even at the late stage”, Justice Nariman had explained. 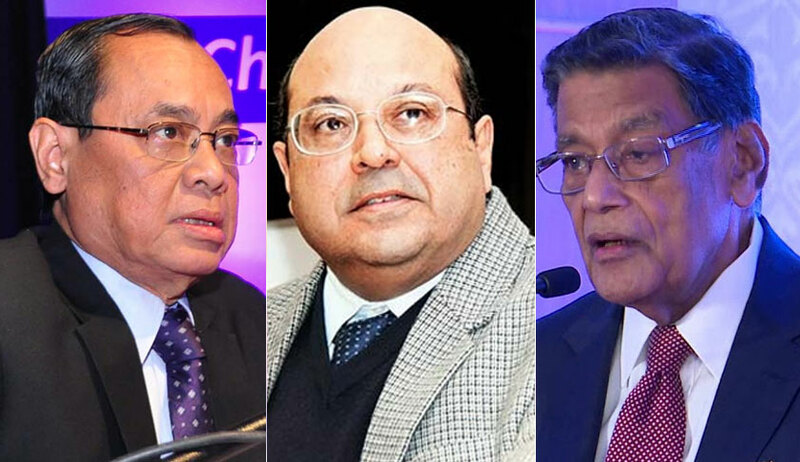 When the AG asked which the five remaining documents are, Justice Gogoi replied that List A is a matter of public record, which Justice Nariman adding that once the 10 acceptable documents have been set out, the remaining five would be clear. “We would like to see the rest of the report unless it is a secret document. The government of India is extremely interested...we are concerned with the larger population...”, persisted the AG. “The government of India may be interested but we have to balance things...at the moment we have said that what we have indicated is sufficient...it is at the discretion of the court how much is disclosed at this stage...”, affirmed Justice Gogoi. The Union of India has been granted two weeks’ time to respond, the matter next scheduled to be heard on September 19.